Andreina Emeri was one of the leading women of South Tyrol during the 1970’s and 80’s. Inspired by the spirit of activism and liberation sparked by the generation of 1968 and the student movement, women began to organize themselves in groups. 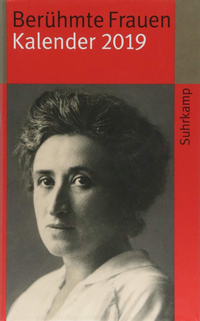 Andreina Emeri was present when the „Alexandra Kollontai Group“ was formed in Bolzano in 1971 and remained an active member until her death. The group defined itself as a collective – „collettivo“: there was no chairwoman or hierarchy, and decisions were taken collectively as a matter of principle. Thursday was „Kollontai-day.“ Promptly at eight-thirty the women gathered, often at the Emeri home, where the smaller children were watched by Andreina’s children, where everyone ate and drank together and the women could talk and exchange ideas undisturbed. Consciousness-raising and the demand for legal rights and public recognition had become inseparably linked. The women raised their political voice and took their cause to the streets with considerable public success. The demonstrations were not only concerned with bringing about new legislation; they also gave expression to the need for self-determination. 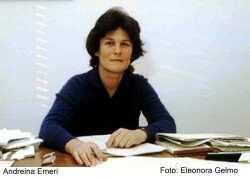 Andreina Emeri was the moving spirit of numerous feminist public initiatives in South Tyrol. One of the first concrete measures in Bolzano to emerge directly from the experience of the Kollontai Women’s Collective was the establishment in 1973 of the AIED Information Center, tied to the national organization (Associazione Italiana per L’Educazione Demografica). Emeri became its chair and represented it on the national level. An attorney, Emeri offered legal advising in the information center without compensation. Andreina Emeri began her law studies in 1954, when she was 18. Against her parents’ wishes she married the much older attorney Claudio Emeri in 1955 and moved with him to Milan, where she continued her studies and worked in his law office. In 1957 they returned together to Bolzano, where their first son Andrea was born on 14 August. In addition to her intellectual and professional interests Andreina had a deep longing for motherhood and a family. In spite of her family obligations she completed her studies, passed the legal qualifying exam and worked in the law office. In 1960 she gave birth to the twins Gian Claudio and Michele; in 1963 daughter Valentina was born. Emeri’s ideals and strength shaped the private world around her, including her family. „We grew up in a world that didn’t really exist,“ explained daughter Valentina in an interview. Emeri’s active social commitment in the areas of family and labor law was also apparent in her work as an attorney. She represented the interests of unions and tenant organizations, and as one of the first female attorneys she became a resource for women seeking advice from all parts of South Tyrol. From 1983 on the women’s rights advocate was also active politically. 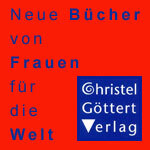 She was a candidate for the state parliament and was elected as a member of the „Alternative List for the Other South Tyrol.“ Here she was the moving force behind the introduction and political consideration of women’s topics. „With dedication, persistence and effectiveness she advanced the concerns of women; she never lost her cool and thus enjoyed even the respect of her opponents,“ states an obituary. Andreina Ardizzone Emeri died unexpectedly on 30 July 1985 while travelling in Norway.